Where Does 'GLOW' Go After That Surprising Season 2 Finale? After an exuberant second season, GLOW closes out on a down note. 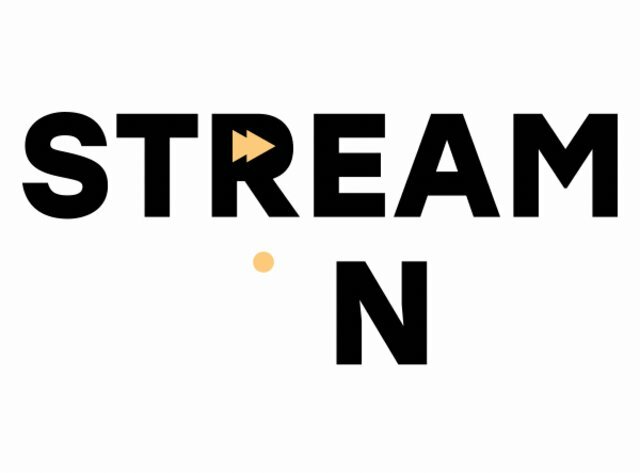 The show within a show has been canceled by KDTV, and despite interest from other networks, the women have been told they can't legally put their characters on TV anywhere else. But reprieve comes in the form of an offer from a new buddy of Sam's (Marc Maron): What about a Vegas floor show? So the ladies pack onto a bus, all full of anticipation. Ruth (Alison Brie) tells Sam she's never been to Vegas; he tells her she's going to hate it. She smiles, and then that fades. The last shot is a close-up of Ruth as uncertainty flashes across her face as Jefferson Starship blasts. It's The Graduate ending of TV cliffhangers, and it perfectly sums up how we're meant to feel about Season 3. The initial two seasons of GLOW are a one-two punch (or whatever the wrestling equivalent is of that). The first offers an introduction to the characters and their universe. It's a veritable 10-episode training montage. The second, which dropped on Netflix June 29, is about actually implementing everything the women have learned, and the results are incredibly satisfying. Not only are we treated to more action -- the highly entertaining wrestling matches and over-the-top sketches that the cast devises -- GLOW deepens all of the more potent material teased, but never fleshed out, in Season 1. For one, we finally get an episode that wrestles with how Tammé (Kia Stevens) deals with playing the racist caricature Welfare Queen when her Stanford-attending son tags along to one of the matches. Later, we get a glimpse to the sad, strange life of producer Bash Howard (Chris Lowell), and how the death of his former butler unleashes what appears to be his deeply internalized homophobia. Meanwhile, the ornery director Sam learns how to handle parenting duties now that the teenage daughter he just learned he had has moved into his house. In the hospital, they finally have it out in a brutal fight where their heartbreak and anger tears down the walls they put up. Debbie is still hurt, yes, but that has morphed into a bitterness that borders on callous. The affair, she believes, caused her neat life to fall into disarray. Ruth rebukes the idea that Debbie even enjoyed that existence and reveals how demeaning their friendship felt to her. She knows she did an objectively bad thing, but her anger at the way Debbie would consistently belittle her and her acting career feels no less legitimate, just as Debbie's point about not wanting to feel sorry for her success in the wake of Ruth's failures also rings true. Their battle is cathartic, and, ultimately, healing. The freeness they now feel leads to the most straight-up joyful half hour of the season: A full, grainy recreation of a GLOW episode, complete with wrestling matches and songs. 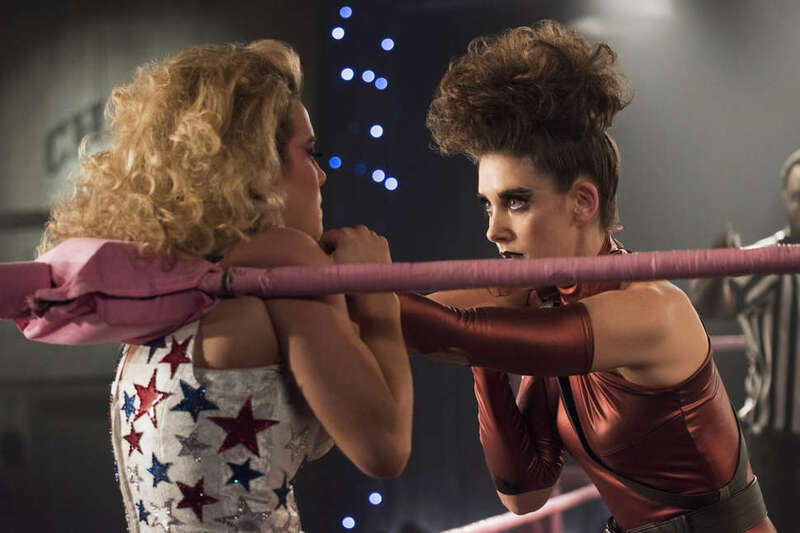 It's easy to imagine GLOW spending another year in this same groove with the characters and their personal battles in Southern California, but instead, creators Liz Flahive and Carly Mensch blew that all up and are shipping everyone off to a different state. Barring a time jump, the next time we see Ruth, Debbie, and the gang, they will be on the strip. There's historical precedent for the GLOW gals going to Vegas -- the city, and specifically the Riviera Hotel and Casino, was the home of the real life Gorgeous Ladies of Wrestling. (The Riviera is mentioned in the finale, but as the host to the performance known as "Splash.") As a GLOW veteran recounted in the documentary GLOW: The Story of the Gorgeous Ladies of Wrestling, they had to stay in character if they wandered around the casino and were divided into "good" girls and "bad" girls. So, yes, there's a lot of material from which to draw -- and an opportunity to expand the cast, assuming the fictional enterprise also recruits local talent like showgirls and other Vegas denizens. It's all very exciting, if ambiguous, but GLOW has more than proved that it's willing to tackle anything. If it approaches a Vegas storyline with the same scuzzy joy and sensitive spirit of its first two seasons, then everything will be fine -- at least for viewers. Ruth, on the other hand, may still have some issues.